Your help is desperately needed! 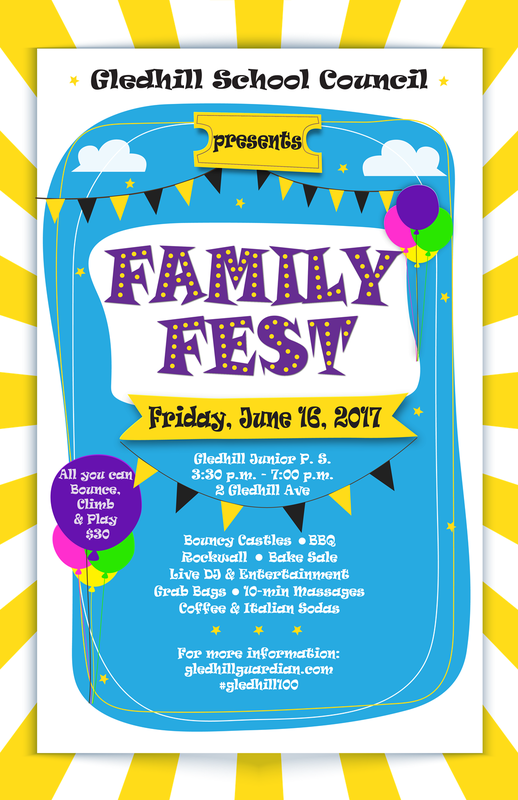 Family Fest is on Friday, June 16th and we need your help selling tickets, flipping burgers or even providing some delicious treats to sell at our food tables. What is Family Fest? It is an afternoon of fun in our school yard from 3:30 -7:00pm. There are bouncy castles, a rock wall, marketplace, and tonnes of food! Family Fest is one of the school council’s main fundraisers to support the enrichment programs your kids love like Skate Day, Scientist in the School and Drama with Jeff. It’s success is due to the help of our great parent body coming together to make this day possible. Clean-up 7:00 – 7:30 – Help pack at the end of the day.